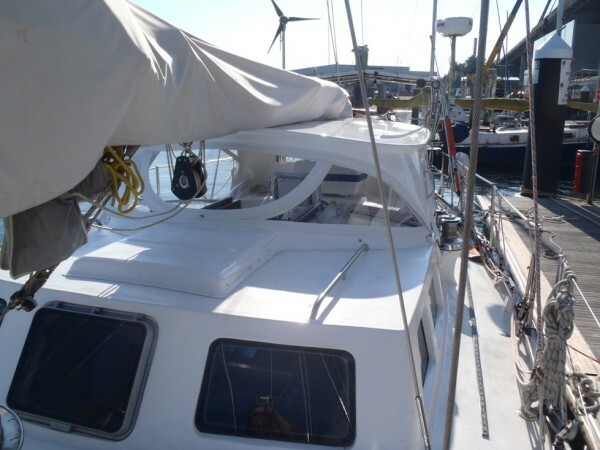 Quality Covers was approached by husband and wife team John and Shauna to design and build a functional and waterproof enclosure to go with the recently built cockpit hardtop aboard their 45′ round chine steel cruising cutter called “Destiny”. The job included a mixture of both Polycarbonate and Strataglass clear and the end results was impressive and watertight! !